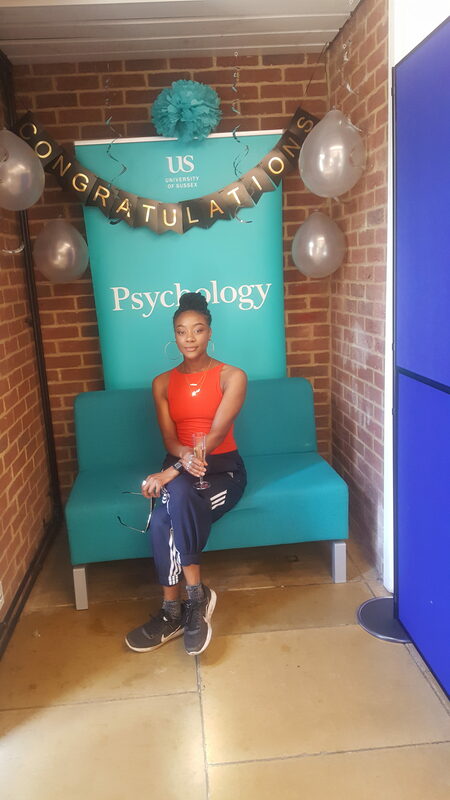 When I began studying psychology at Sussex in 2015, my biggest fear was how I would cope with the research and statistical aspect of the course, and generally whether I could cope with degree level work. 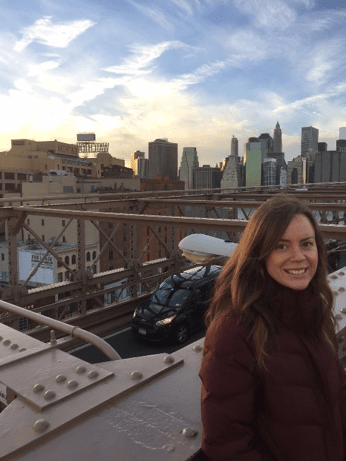 It was only when I began studying on the course and started worrying about my ability that I realised there was an abundance of help available, and all I needed to do was ask. Have you ever gone grocery shopping to get some bread and milk, and you found yourself leaving the shop with a bag full of items that you never intended (and needed) to buy? Or maybe you’ve committed to keeping a diet, but found it impossible to resist another helping of that delicious chocolate cake? Or perhaps instead of analysing all available information before making an important decision, you tend to make a choice on impulse? Sugar seems to be frequently vilified in the media. Just a quick google search and headlines report ‘Sugar can destroy your brain’, ‘Sugar is as addictive as cocaine’ and ‘Sugar addiction ‘should be treated as a form of drug abuse’. It’s frequently referred to as an addictive drug, which supports people who build successful careers out of teaching people to avoid the perils of sugar. But how well founded are these claims and should you really cut sugar out of your diet? This article was originally published by the BBC on 12th January 2018. Thousands of people are physically and sometimes brutally attacked each year in hate crimes. Such offences not only affect the victims, but also the thoughts and behaviour of others. Within 24 hours of the massacre of 49 people at a gay nightclub in Orlando, protests and vigils were joined by thousands in London, Sydney, Hong Kong, Bangkok and many other cities around the world. Although a particularly stark example, the response shows how the effects of hate crime are not limited to the immediate victims: they also affect others who learn of such events. 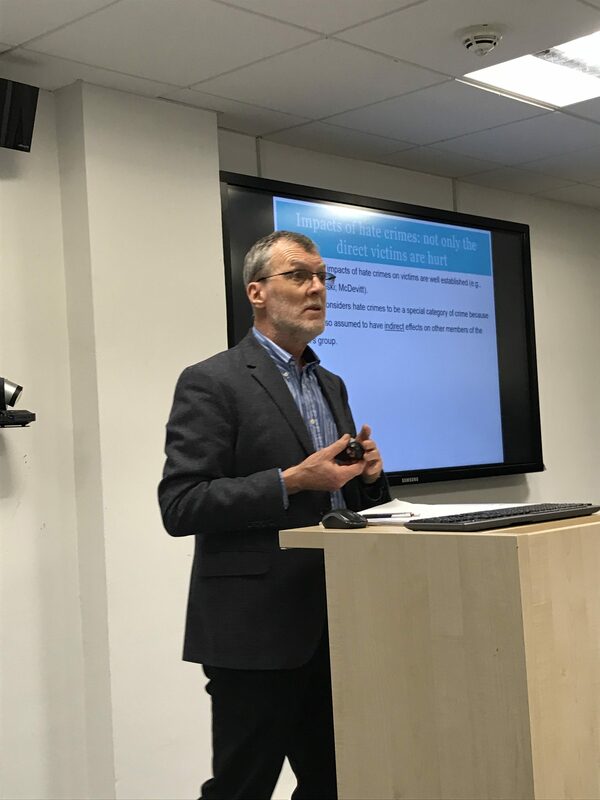 Prof Rupert Brown presenting at the Sussex Hate Crime Project launch. 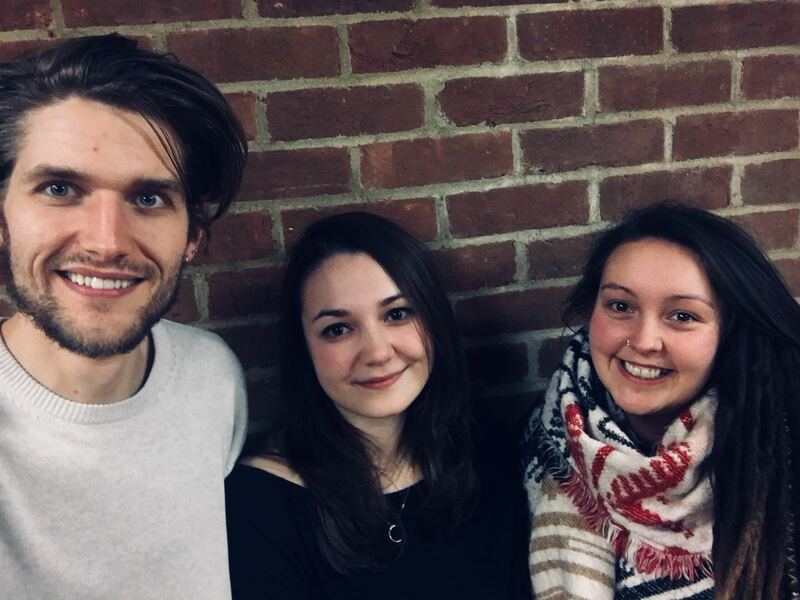 Over the past five years, the Hate Crime Project at the University of Sussex has investigated these wider impacts of hate crime, looking at how simply knowing a victim, or even hearing about an incident, can have significant consequences. Many such attacks take place: in England and Wales, for example, the number of hate crimes recorded by police has increased sharply, rising 29%, to more than 80,000, in 2016-17. Race hate crimes were most common, but victims might also be targeted because of their sexual orientation, religion, disability, or because they are transgender. The University of Sussex project used studies, experiments and interviews with a total of more than 1,000 Muslim and 2,000 LGBT people in the UK to investigate the indirect effects of such crimes. It found that four out of five participants knew someone who had been victimised in the past three years, with about half knowing someone who had been physically assaulted. As a result of hearing about hate crime in their community, the most common responses were anger, anxiety and feelings of vulnerability. One reason for these indirect effects is that people feel more empathy for victims who come from their own community. When they learned about a fellow Muslim, or LGBT person, being abused because of their identity, they put themselves in the victims’ shoes and felt something of what they must have felt during the attack. This made them feel angry on the victims’ behalf, but also threatened and fearful that they could also become a victim. These feelings can lead people to change their behaviour – for example, using social media to raise awareness of such attacks – with the effects lasting three months or longer in many cases. The University of Sussex research demonstrated these effects through experiments in which participants read newspaper articles about someone being attacked. All the articles were identical, except that some described the attacks as anti-LGBT or Islamophobic hate crimes, while the others portrayed the attacks as random, with no mention of hate as the motivation. Those who read about hate crimes reported more empathy for the victim which, in turn, made them more likely to express feelings of anger or anxiety than those who read about the non-hate crimes. The strength of their responses suggest that hate crimes can have a greater impact on the victims and those in the wider community than otherwise comparable attacks which are not motivated by hate. The question for police and politicians now is what they can do to reduce the impact of hate crimes. One step might be to investigate measures – like restorative justice – that aim to address the harm to both the victim and community. Another might be to ensure greater use of community impact statements in criminal trials. With tens of thousands of people affected each year, there are many in the Muslim and LGBT communities, and other parts of society, who will be keen to know the answer. This analysis piece was commissioned by the BBC and edited by Duncan Walker. 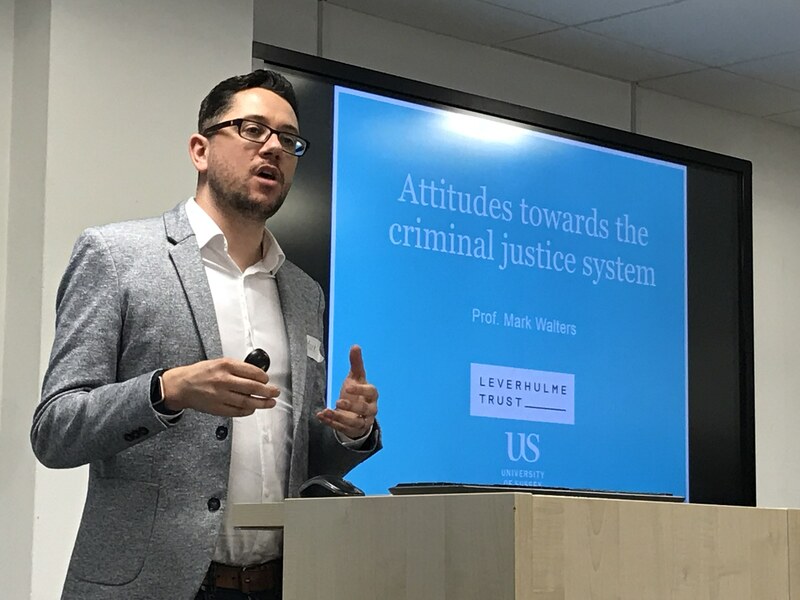 Prof Rupert Brown, Prof Mark Walters and Dr Jenny Paterson are at the University of Sussex and are members of the Sussex Hate Crime Project, which was funded by the Leverhulme Trust. The project recruited more than 2,000 LGBT and 1,000 Muslim people from a wide number of sources, including specific community groups and charities -for example, Stonewall, GALOP, the Muslim Council of Britain and LGBT and Muslim university groups. Against this backdrop, language imitation in children with autism became the focus of my Masters thesis at Sussex. As a student on the MSc in Experimental Psychology – an intensive, year-long conversion degree – I was attached to the ChaTLab (http://www.sussex.ac.uk/psychology/chatlab/), where I spent a year studying and hearing presentations about children with autism, and their difficulties with social interaction. When I left Sussex in 2011, it was to move to Singapore, where I spent six months as an intern in the autism team of the Child Guidance Clinic (CGC), as part of the Institute of Mental Health (https://www.imh.com.sg/clinical/page.aspx?id=267). While working at the CGC, I supported two clinicians to run social skills classes for boys with autism; this experience in particular made me think about why conversation doesn’t always run smoothly for people with autism and their social partners. From Singapore, I returned to Sussex in 2012, to take up an EPSRC-funded PhD scholarship in the ChaTLab, entitled ‘Meeting of Minds in Conversation’. My PhD thesis – co-supervised by Drs Nicola Yuill (Psychology) and Bill Keller (Informatics) – considered the conversational difficulties of children with autism from a language-processing perspective, drawing on theories of linguistic alignment. Alignment is the tendency for speakers to imitate each other’s language in conversation: it is widely observed in the conversations of typical adults, and is associated with more effective and satisfying interactions (c.f., e.g., Fusaroli et al., 2012). Furthermore, alignment may be influenced by ‘audience design’ (=tailoring speech to take a listener into account) and social-affective goals; these are recognised areas of impairment for children with autism. In my thesis, I report three experiments, which consider whether atypical alignment could explain why children with autism might find conversation difficult, and in turn why their social partners might find their interactions odd and unrewarding. My thesis will be available online soon (http://sro.sussex.ac.uk/60608/). Having survived my PhD viva in February 2016, I have since been working as an Assistant Psychologist at the Disabilities Trust, in a residential service for adults with autism and learning disabilities (http://www.thedtgroup.org/autism-and-learning-disabilities/our-services/hollyrood/news/service-user-helps-to-appoint-new-psychologist/). I continue to be intrigued by conversation in autism, and to think about what can be done to support people with autism with their social interaction. Happily, I was offered a post-doctoral position at Edinburgh University, which will allow me to pursue some of the outstanding questions from my PhD. 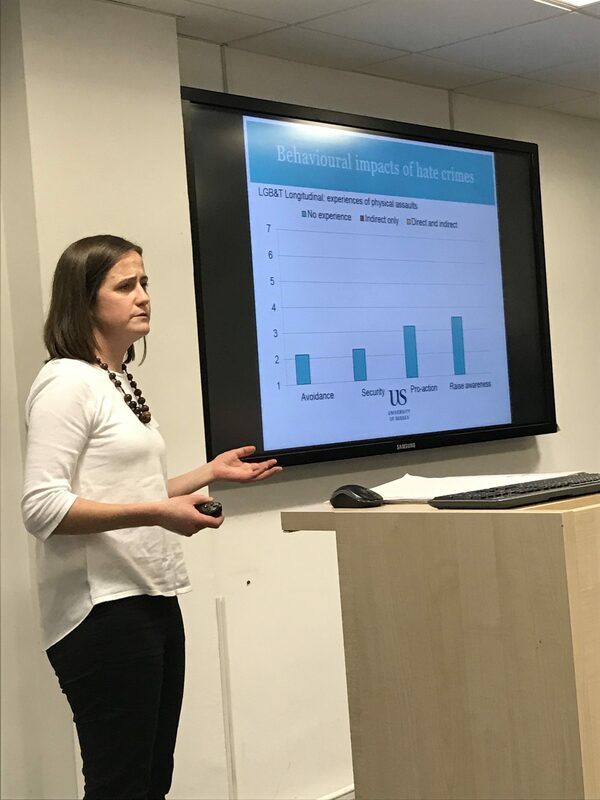 In April 2017, I joined an ESRC-funded project – ‘Conversational Alignment in Children with an Autism Spectrum Condition and Typical Children – led by Professor Holly Branigan; Nicola Yuill is a co-investigator on this project, which will enable me to maintain my connections with the Sussex ChaT Lab. I am very excited about the new chapter in my academic career, and welcome enquiries from anyone regarding my research interests. 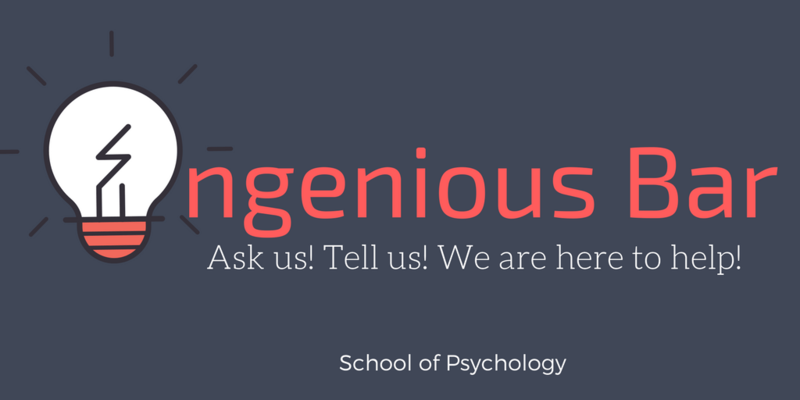 Please consult either my Sussex or Edinburgh University profile pages for contact details. My research has involved both experimental paradigms and natural language processing methodology.